REACHING MILLIONS OF UPSCALE, HEALTHY, ACTIVE ADULTS. WELCOME TO THE WORLD’S LARGEST DIGITAL FITNESS ADVERTISING NETWORK. 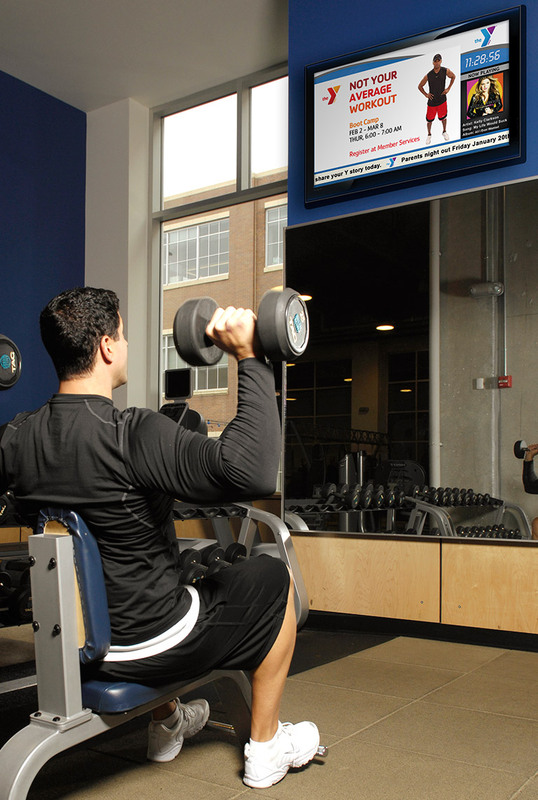 Zoom Media Connect matches local businesses with an upscale and active audience in health clubs, fitness centers and recreational venues across the country. How do we do it? First, we start with a network of the best known and most respected venues in the country. Gold’s Gym, LA Fitness, Planet Fitness, 24 Hour Fitness, JCCs/YMCAs and numerous regional and local leaders all broadcast our network. Then, we hold the attention of the members at the club by broadcasting a combination of entertainment content, relevant and timely fitness programming, advertisements and “news members can use” to get the most out of their membership. Health club members are a desirable audience for local businesses since they outspend other groups of consumers in categories like restaurants, home improvement, retail, medical, insurance, automotive, financial services and many more. The result is a unique, cost efficient and powerful communications medium that connects local businesses to customers and prospective customers who live and work in the community.